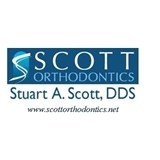 Scott Orthodontics, DDS (Silver Spring) - Book Appointment Online! If you're interested in a brighter smile and straighter teeth, there's no better time to contact the most trusted professionals in Silver Spring and Mitchellville, MD! At Scott Orthodontics, we understand that white, bright, properly aligned teeth are more than just a sign of good health. Orthodontics is a great way to improve your dental health and your overall level of self-confidence. A great smile can leave a lasting impression for a lifetime. For years, conventional metal braces were the only alternative for straightening misaligned and crowded teeth. Fortunately, technology has become far more advanced, and we are able to offer more practical solutions than ever before for patients of all ages. NOW is a great time to pursue orthodontic treatment!